Hi All! Thanks for always keeping Boohwal’s update here. If you happen to stop by at this page, I’d really appreciate it if you’d at least share with us how you come to know Boohwal. Thanks for opening this blog. It’s much appreciated. Btw. how about putting up a twitter counter on the blog? You mean there is another fan from Turkey beside me? I didn’t get it wrong, right? You made me curious.. 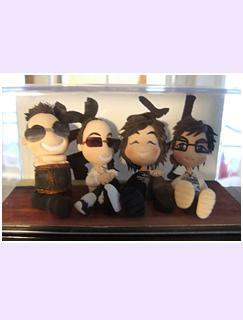 The first time I’d listened to them when I watched live H on KBS 2009…and I began to like them since then. Luckily I found this site…thank you so much for everything you share here…hwaiting! first time i knew boohwal when i watched KBS too… i listened “heeya” and suddenly im so curious about boohwal, so, im started to search they songs,, and Voila!! much love for boohwal..
Hello! I’m a big fan of Boohwal. I’m from Romania. I love their songs, i love Tae won and Dongha. Best wishes for them and many, many years in good music. after watching all the episode of rock rock rock i started to search more on boohwal’s profile n songs. lucky me to find this great blog. credit for u!. even though i cant speak korean but after watch rock rock rock, i was touched n moved by all the songs in the drama. Hey,I’m from Malaysia too.So agree with you.I also start to dig more about boohwal after rock rock rock.Every song touched me. Hi, I am from Canada. I have been listening to music by Boohwal for over a year now. I absoloutely fell in love with their music the first time I heard it. I remember the first song I heard from them, Never Ending Story. The first time I heard it was when I was watching their MV with Lee Seungchul. I remember the feeling that I had. I was overwhelmed by the song, I got goosebumps (chills) and the song made me cry. That was the first and only time that a song made me cry. I love all of Boohwals music, I even bought a couple of their CD’s. I can’t express enough how much of an impact they have made on my life. One day, I heard that there would be a k-drama about a legendary korean rock band, and since I wanted to hear some k-rock for a change, I decided to search youtube for some MVs. And that’s how I’ve discovered 부활. 사랑할 수록 was my first 부활 song. Now it’s one of my favorites – alongside with 비와 당신의 이야기 and R.E.M. Beside searching for news, I come here as I “discover” (maybe it’s better to say: “as I fall in love with”) a different song of Boohwal and look for the translations here (YOU DID AN AMAZING JOB WITH THE TRANSLATIONS!). Since I’m studying Korean, I like to compare the lyrics with the translation, that way I enjoy learning it even more. 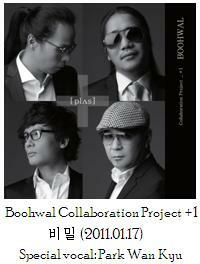 Actually, I am not korean nor speak korean, BUT I love Boohwal’s music. Because I was so familiar with their music, that my husband and I actually went to their concert in Los Angeles at the Ford Amphetheatre earlier this year. Even for my husband, he also enjoyed the concert more than the Shin Seung Hun concert that we also went recently. thankyou making the website…it is so much easier to navigate since the last time I visited…keep up the good work..fan from USA…. Thanks Nikita! I worked hard to make it more user friendly! 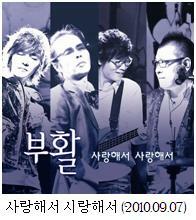 I discovered Boohwal with the TV show ‘Qualifications of Men’ on KBS and I immediately loved the song “사랑해서 사랑해서”. I’m still don’t know all their songs but I really like them! Hi Nathalie and Giulia, thanks for sharing! I love this site a lot. 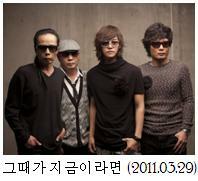 I discovered their music not long ago, from Live H on Arirang TV. I was very impressed by Heeya and The story of you and the rain and tried to search more about them. At first, I felt very disheartened as I got almost nothing. Luckily, I found your side! So yeah, I just want to say thank you and all your effort to bring Boohwal closer to fans and esp newcomer like me. I live in Seattle, and am a big fan of Boohwal. This is a great web site to get info about Boohwal. Thank you!!! Hi, I just read that there is another Turkish fans of Boohwal. Is it for real? Where are they? Lovekorea who writes on top is Turkish. The nickname 나무뿌리 is Korean but she is in Turkey right now. I tried to translate some of their songs in Turkish (using your translation, 겁많은사자 ; also Korean version from Google translation ). I know Boohwal from 2009 when, by chance, watch their Thought MV. I love all the songs and lyrics, they put their heart in them, not like some of the idol groups nowadays. Boohwal (along with YB) is one of my biggest inspirations. And I really prefer their live performances to the studio version 🙂 Jung Dong Ha ssi ‘s really the master of singing live. Thank you for spreading Boohwal music around! 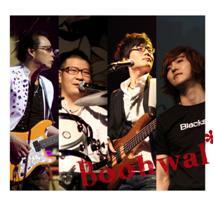 I’ve been a BooHwal fan for around a year now… yeah a bit too late but I’m still lucky that I did find about them! And I’ve been lurking on this page for several months already 🙂 Thanks to you I have bought a lot of their songs in Soribada but Reminiscent III is not there… have to look somewhere else. Anyway, nice to meet you guys! I hope this page will be long lasting… let us know if we can be of any help. For “Reminiscence III” it’ll probably be difficult to get the original version (1985), You can get the remake in 10th album featured by Jo PD (rap version). Otherwise I suggest you buy the 1st or best album (1989) from yes asia or other source. hahaha I guess I was kind of shy to show up. I’ve checked the rap version but actually really hoped that BooHwal will do a remake with JDH 🙂 really like his vocal. OK I will check Yesasia, I have an account there. salut, clichy! which part of romania do you come from? Hi Everyone! Just to add the excitement here.. I want to share something about BooHwal and Me. Those exclude the player in my car. Boohwal songs have been the Soundtrack of my life nowadays. Can’t live without them. BooHwal Jjang!! HI, I’m your intern. I’m from the US, but you already know that! Well, I’m a new Boohwal’s fan, it’s barely gonna be a month since I started to listen their songs! Wow~ SKIGV! Thanks for sharing your story! Let me know if there’s any song you really want translated and I haven’t, i’ll see if I can find the time to translate~ See you around!! Hi everyone ! I’m May from Vietnam. Lonely, I’m living an unstable life in a stranger country. I meet new people,come to new places,but still it’s not the same sky I used to look at. I want to come back but It’s not the place I used to know, either. People changed. Sometimes everything is just do difficult that I couldn’t stand it anymore. Then I listen to Boohwal’s songs. Eventhough, I don’t understand Korean but somehow, those songs make me feel I belong to somewhere better than here. I feel like I actually experienced what happened in the songs cuz it seems so real. That’s why I am a Boohwal listener. Hi May~ which country are you living in? But first of all, welcome! 🙂 My story is almost the same with you, I came to love boohwal for they kept me spirited living in Korea right at the the most difficult time. Hi, I’m frm Malaysia. Get to know them thru Immortal Song 2. Attracted by ‘Never Ending Story’, ‘Lonely Night’, and the voice of Park Wan Kyu. Kim Tae Won reminds me on Yoshiki frm X-japan, talented musicians. Hi!!! I’m from Venezuela (not on the list) and i just discovered Boohwal thanks to the amazing drama Rock Rock Rock. I love the drama, and No mi noh acting, and the soundtrack just kills me. ever since i saw the drama (last weekend, hehe) i’m kind of obssesed with Boohwal searching all over the web for the songs and info. I almost know nothing about Boohwal except from the drama so that’s why i am so happy to find this site… i must take my time to read and enjoy every post…. Thanks so much in advance!!! 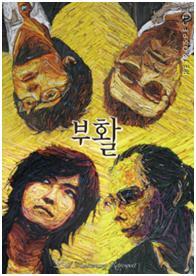 Get to know BooHwal through K-drama Rock Rock Rock portrait by Noh Min Woo. This drama moved me, I watched it at least 5 times and cried every-time. Inspired by the unconditional love from his wife. This is truly a “Never Ending Story”. I can’t speak/read Korea therefore I’m so glad to find your website in “English”…I will take my time to read to know more about BooHwal specially Kim Tae Won biography…hope to see more of his family pictures…Greatly appreciate your time and effort uploading the information’s… Thank You so much for the Good Work!!!! I’m not posting family pictures because that’s invasion of privacy. Hi. 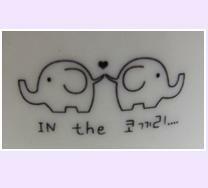 I’ve just discovered the song 21C 불경기… OMG shame on me! its soooo good. PWK and JDH both of them sing with amazing taste… I realized that I have a long way to be a real Boohwal fun. Did you design the layout this well with the default website tools? Your page is incredible. The first time I heard of Boohwal was on Immortal Song 2, when Yesung and Hyori’s versions of ‘Huiya’ and ‘The More I Love You’ really touched me. wow! So many people from differents countries! The first time I heard about Boohwal was thanks to Kim Tae Won in Star Golden Bell. I’m a rock fan since I was little, and I wondered who was that man with long hair and sunglasses. I started to search information about his band, and I fell in love with their music. My Boohwal story is a little strange. I’m from the US and had been watching some of the K dramas out of boredom on Hulu. Went surfing on YouTube to see what else some of the actors/actresses I enjoyed had been in. Somehow stumbled upon Boohwal and Jung Dong ha and am blown away by their musical/vocal talent. Found your site looking for English translations. Thx! Do you know where to find an appearance schedule in English? Or is there any chance of them coming to America. Would love to see them in person. *Favorite song at present is Yellow but that could change as I explore more of their songs. Also with Jung Dong Ha’s ability to sing so well in English I think they could make it big in the US with the right management and promotion. start fell in love with boohwal when i watch family outing where kim seung chul as a guest back in 2008. ever since boohwal song is always on top of my playlist! Hi.. I’m from Indonesia. I’m so glad to find your blog. I heard about this band from my best friend 2 years ago but i don’t know why i searched about them just last month and i become their fan since then. God..they’re so awesome. Thank you thank you thank you thank you so much for sharing all about them right here..that’s a very kind of you. ^^ Is there any twitter account that i can follow related to boohwal? Thank you thank you thank you..
welcome to the club 😉 They are amazing and become more amazing day by day. These are twitter accounts of them: @paulkimmarcome @chaejemin @Basseo unfortunatelly Jung Dong Ha hasn’t got an acc. Btw their 13th album is coming on June 10 named Purple Wave. I’m so excited. I’m sure it will be awesome as always. I wish them luck! Your welcome. Nice to meet you, too. I dont think DongHa will have an acc. but who knows! As much as I know new album is coming on June and they have already started their events for new season. but I find this kind of infos via Korean sites or Korean followers and I dont know Korean so I use trans.sites. I mean there is always fallibility. I love your blog, thank you for all. I respect DongHa’s choices about his private life. And I think it is another reason to love him. Ah..and I see a kind of new haircut. kkk..
Hi. I just found this song and i like it so much. Btw who is the actress acting in the story of you and the rain music video? Theres a girl who looks pretty. I’m not sure which MV you are talking about but it might be Rock Rock Rock drama version, if it is she is Hong Ah-reum. 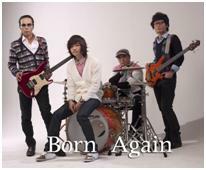 Hi ALL Boohwal fans, nice to meet u, i am from Kuching Malaysia, i first saw Chung Dong HA on Arirang TV when he had an interview with ISAK,on KPOP, but only when Arirang Tv was showing the LIVE H of BOOHWAL band that they caught my heart -since then i had been following them up, initially i find that it is very hard to find information about Boohwal band, i would say it is getting a little bit better. 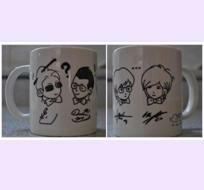 what do you all think?especially, for foreign fans outside Korea who dont know korean……. ?! anyway, i was watching their performances on you tube videos, i would say that they drived me to go to korea to attend the live concerts myself, we got help from korean kind fans,……JLIM and i,, we both from MALAYSIA, and thought we probably the only two malaysian fans( now i know we are not, hope u all get to know her) we went separately to the CROSS Road live concerts, 2011……and i wish all the fans in the rest of the world would get to attend Boohwal live concert one day…..Boohwal, please continue your live concerts, all BOOHWAL fans will continue to look forward to them, Boohwal fighting!! Don’t tell me I’m the only BooHwal fan in India! Recent fan but equally enchanted, and so fond of KTW. Anyway, my story of discovery resonates with many of the stories here, and it is heartwarming to find people from so many nations here, for the love of beautiful music. All my life I have loved good melodies from all musical genres, irrespective of language… but I find rock music very moving and motivating, something life-affirming and rejuvenating… and in the long tresses of charismatic singers I find an ancient call of freedom and mesmerising mix of masculinity+femininity that appeals to my artistic side. So my journey towards K-rock began with the exploration of rock as well as talented male singers with beautiful, long dark hair. Was delighted to find Shin Sung Woo, Kim Kyung Ho, and then Park Wan Kyu. I was struck by the changes in his voice over time, starting with the high, light pitch in Lonely Night and Cheonneonui Sarang, and ending with the rich, deep, emotive tones in Hamangyeon and Sarang (OST) …I could hardly believe I was listening to the same person till I read up on his bio and discovered his association with Boohwal, and then onto songs like Pimil and Bi that I just loved… And then his performance of Cheonneonui Sarang with JDH, where he was so supportive, led me to JDH based songs like Fairytale and Thinking. I also explored songs by other leads, but these two have something else in their voices, a mix of passion, sensitivity, texture. I’m one of those who find the melody and passion in a song enough to love it, and tread upon lyrics hesitantly in case they don’t match up to the emotion conveyed by instruments, including voice. But the comments would tell me that the words too were full of meaning, so I got curious. Since I don’t know Korean, to further appreciate the songs I tried to follow the meanings of songs from subbed versions in English or Spanish, but there were not that many available. That’s when I found this site and, song after song, kept coming here for translations and information on the background of each song. The first song was Saranghalseurok, and it was so touching… I kept thinking about how KJG just happened to cross paths with KTW like a comet, bringing light into the darkest times, and that the very reason he was born seems to be, to ensure that Boohwal was reborn again. I’m so glad they met, else we KTW may have never recovered from the phase he was in at that time. Having read about his life here, I felt so inspired to face the hurdles in my own life… Every time I hear his guitar I feel like it is calling out to me, to find the ways despite every setback, the way he did. I’m quite fond of him now, and feel so glad he found the right people at the right times. It took me a while to warm up to JDH, but I think KTW was wise in choosing him because he brings in younger fans, tries to involve the audience like PWK, harmonizes well with KTW, performs well live, and has an obvious respect and loyalty towards the band members (it’s not all about him) and PWK. It is an unusual combination that helps break down age barriers, and keeps the amazing path of Boohwal flowing on towards a hopeful horizon. Like so many others, I am very happy to have found this site that keeps updating itself, in step with Boohwal. I think the message of this band’s music, and of KTW’s life, is that one can endure near-breaking points again and again, if one can accept change as a curtain that will reveal a fresh, strong, invincible identity. It is this message, conveyed through every song, that I think deeply moves people from all over the world. Thank you so much, 사자후 sshi for sharing your knowledge and enhancing our appreciation. Hello! I’m from the Philippines and following Boohwal since 2009. First time I heard Boohwal song through my Korean friend. 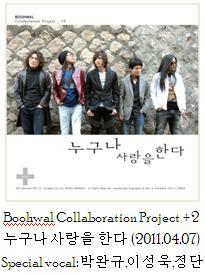 He introduced Boohwal member according to their album and I’d been searching videos and information about them. I love KTW style of music and captivated by Jung Dong Ha voice. When they released their 13th album I’ve got news that they will start the Purple Wave concert tour. First time for me to visit S. Korea and I was so happy to choose the Seoul Purple Wave Concert last October 6,2012. Fantastic live concert… unforgetable experience to me. I hope they will continue making album and doing great music. Thank you very much to your wonderful website… God bless you. I’ve just been listened to Korean music for the past 2 years. I love rock music especially Japanese rock style. I didn’t know that Korean rock music is good too since most of the Korean music representation is Kpop. One of my Korean music reference is the variety show Immortal Classic. Through the show, I can know good singers and later search for their songs and music style. Through the show I know Jong Dongha of Boohwal. After a few episodes, I began to love his husky voice and rock style. So I search more about him and Boohwal. Apparently, I’ve seen Kim Taewon in several shows and interviews though I had no idea who he is besides he’s a famous Korean rocker. Watching & listening to Boohwal videos, whether it’s MVs or live shows, I just got to fall for them. The songs are unique and amazing, in terms of melodies, lyrics, and arrangement. They are just perfect! I wish one day I can watch them live. Hi! I am Rhea and I’m from the Philippines! I just recently became a fan of Boohwal. I wonder what Boohwal is up to nowadays. Yeah! JDH is the record holder. He’s been the record holder in IS2 twice already. before he got the record of 439 votes, if i’m not mistaken, the record was 438 and that record was set by him when he performed with Kim Taewon, as well. I have been watching IS2 ever since I saw JDH perform there. JDH was the reason I’ve been watching IS2. JDH and Kim Taewon, however, are the reasons why I love Boohwal. I am so glad that I have watched them in variety shows like “qualifications of man” – Kim Taewon and IS2 – JDH ’cause I have discovered a band that is worth listening to. What I like about Boohwal is that even though I don’t understand that much Korean, I think I understand most of their songs. Their songs are just so full of emotions that I think I don’t need to understand the words to feel it, you just feel it through the melody and how they deliver it. That is how great they are. Only few bands can give such impact to their songs even without understanding the words and Boohwal, I must say, is one of the best bands when it comes to that category. Just by hearing their songs, you would understand the story behind the lyrics even when you don’t understand it. ^ Thoughts I wanted to share. I do hope Boohwal’s fan club would grow bigger and have more fans. I’ve known Boohwal since early 2010 but didn’t start beeing actual fan till 2013 when I saw JDH on an IM2.